← Death of the Newsroom? Why are all near-death narratives about heaven? Doesn’t anybody come back from hell? I am struck by by the powerful publishing trend of books written by people who say they died (or nearly died) and came back to tell the tale. 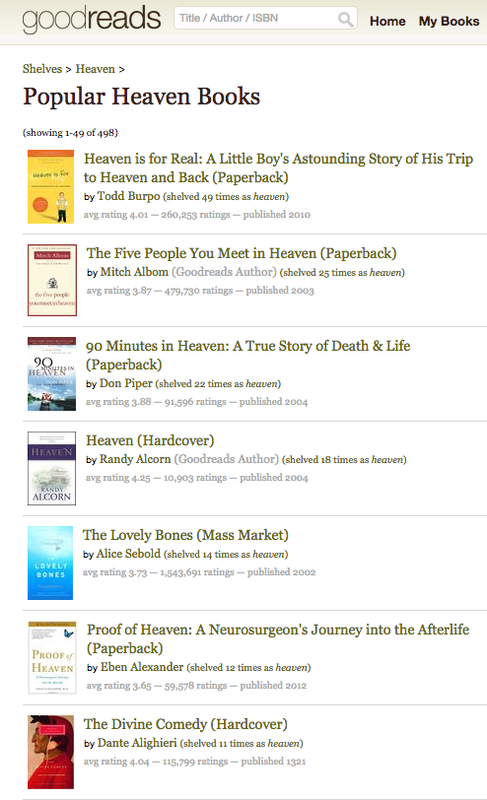 I even read one of these, Proof of Heaven, by a neurosurgeon. These are presented as non-fiction narratives, but I have my doubts. –an ambivalence about returning to real life. But why don’t we ever hear about near-death experiences involving a sojourn in Hell? 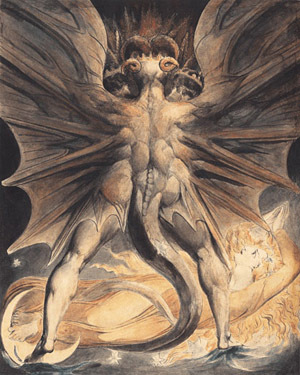 Why no images of Satan? Could it be that when we die, we “see” and “experience” what we want to? Could it be that Heaven’s Gate is really a revolving door? Could it be that no one ever gets out of Hell? Or if they do, do they have to sign a non-disclosure/non-disparagement form?